Vietnam is popular destination to many travelers all over the world. 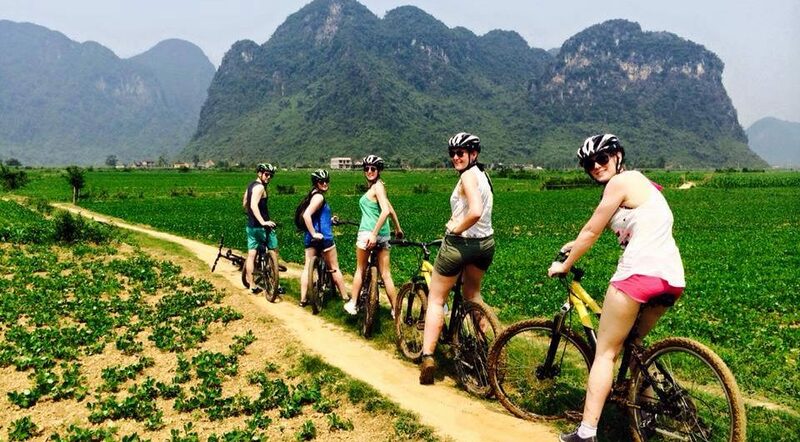 Traveling to Vietnam, you can visit many historic sites such as Hanoi, pagodas and mausoleums in Hue, unique river based life in Mekong Delta, meet ethic people in Sapa, Ha Giang, explore world heritages such as Halong Bay, ancient town Hoi An or My Son Sanctuary. If you love nature, Vietnam is right place for you to travel to. In your holiday to Vietnam, you have many options to discover its charming beauty. Among them, enjoying the huge rice terrace field always make visitors surprised by the harmony of nature and artifacts. 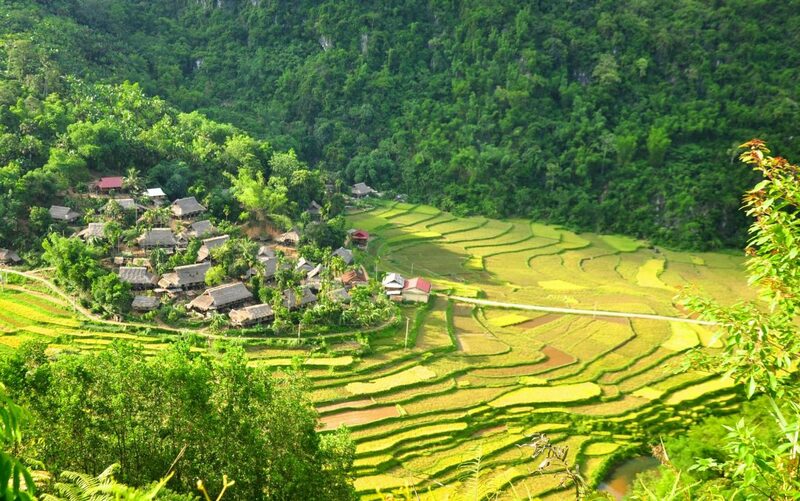 Ha Giang is a province in the northeast region of Vietnam, impresses visitors with its high karst plateau, steep hills, winding roads, ethnic diversity and terraced rice fields. 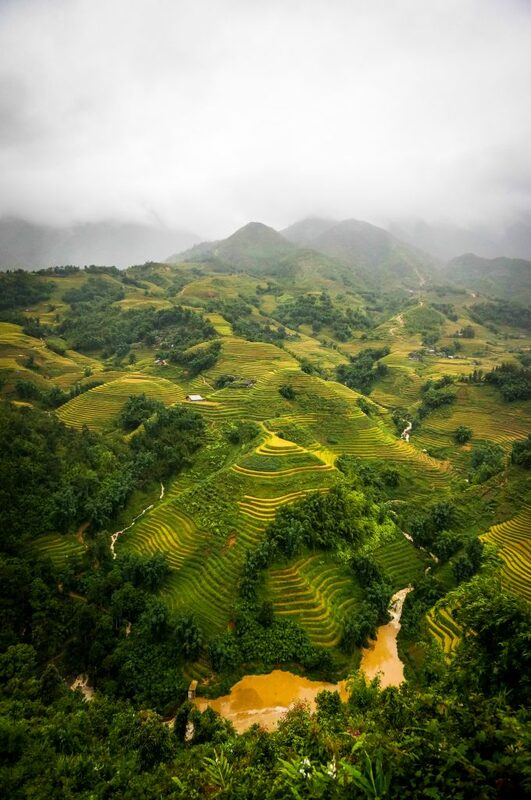 Hoang Su Phi, an upland district of Ha Giang Province,around 100km by bus from the center of Ha Giang is recognized as National Heritage in 2012. Its terraced rice fields is an ideal destination for sightseeing as well as photographers. Sapa is quite popular destination for everyone who want to explore the essence of Vietnam. If Sapa is listed in your holiday to Vietnam, take a chance to see the terraced rice fields which were voted as one of seven most beautiful and impressive ones of Asia and the world by readers of the US’s magazine Travel and Leisure.When being seen from afar, the terraced rice fields look like a picture of nature with heart- catching beauty keeping tourists to stay for admiration for a while. This picture has its colour changed seasonally according to the planting process. 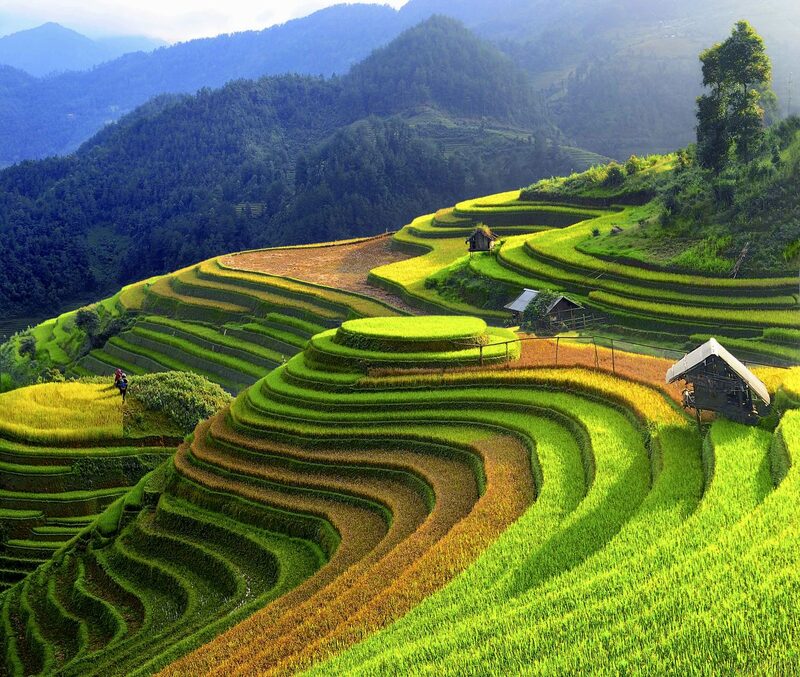 Pu Luong, located in Thanh Hoa province, is called the “microcosm” of Northern Vietnam where you can find the image of Sapa’s magnificent mountain ranges, Cao Bang’s scenic rivers and waterfalls, Mai Chau’s remote traditional villages of ethnic minorities and , Mu Cang Chai’s stunning rice terrace fields. The place is not popular to many travelers but it is worth visiting.